If you're on a vacation or traveling to a different part of the country for any reason, it is both smart and polite to be familiar with what to call the people who live there. Locals in a certain city or state are often known by a certain name, such as calling a New York City resident a New Yorker. In the same vein, a person who lives in California is called a Californian, and someone who hails from Texas is a Texan. However, in other places, figuring out the right moniker is a little bit tricky. If you are planning on vacationing in the Phoenix, Ariz. area or relocating to the state, you need to know what should you call residents. Maricopa County, which covers most of the Phoenix metropolitan area is a very large country with 25 cities and towns within its borders. Each town or city has a different take on what names are appropriate for the locals. 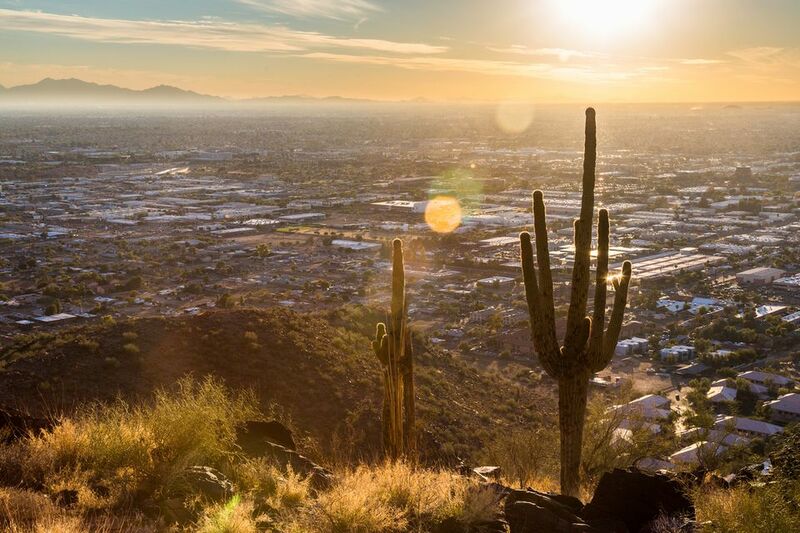 So you don't end up with your foot in your mouth, you should familiarize yourself with the ways to properly refer to the Arizonans that live in the Phoenix area, as well as other places in the state. Everyone who lives in Maricopa County is called a Maricopan. However, locals who also are residents of cities in the county usually prefer being referenced by their city instead of the more general county name. The largest cities within Maric country include Tempe, home of the Tempeans; Glendale, home of the Glendalians; Peoria, home of the Peorians; Mesa, home of the Mesans; Chandler, home of the Chandlerites; Buckeye, home of the Buckites; Scottsdale, home of the Scottsdalians; and Carefree, home of the Carefreeites. Meanwhile, the large Arizona cities around Phoenix also have names for their residents, including Phoenicians in Phoenix. Tucson locals are called Tucsonans, Flagstaff residents are called Flagstaffans, Prescott locals prefer Prescottonians, and Yuma resident enjoy being called Yumans. Now that you are familiar with the proper terms for locals, you can now explore all that this area has to offer with confidence. Maricopa is home to one of the United States' largest regional park systems with over 120,000 acres of open space and hundreds of miles of trails offering limitless possibilities for outdoor explorations. Locals and tourists alike enjoy hiking, horseback riding, archery, paintball, gazing at the desert wildlife, recreational firearm shooting in Buckeye Hills Regional Park, visiting one of the many nature centers within the parks, go-karting, and so much more. You may think that because Arizona is a landlocked state that you'd be hard-pressed to find water activities, but boating, fishing, swimming, and even scuba diving is permitted in the region's lakes and rivers. There is even a waterpark called Wet ‘n’ Wild Phoenix that is located in Maricopa County's Adobe Dam Regional Park. For scuba enthusiasts, Lake Pleasant Region Park is known for having some of the best inland scuba diving in the western states, with over 10,000-acres of water that reaches depths of up to 260 feet. Divers can explore numerous rock walls, canyons, and stunning underwater structures, such as the old Waddell Dam. It is truly a unique experience to dive in the desert, so for anyone with scuba certification, this is a must. For golf enthusiasts, Maricopa County Regional Park system contains three golf courses. The courses are operated independently by companies who are under contract with Parks and Recreation Department. Those courses include the 500 Club at Adobe Dam Regional Park Golf Course, Tres Rios Golf Course at Estrella Mountain Park, and Paradise Valley Golf Course. All of the courses have the amenities expected of a world-class golf facility, including on-site pro shops, restaurants, and bars, golf instruction courses, and professional tournaments. The parks also offer a wide range of campsites, ranging from the most rustic that offer no amenities and a chance to really disconnect from the real world to accommodations that accept recreation vehicles (RVs) and everything in between. So, whatever your definition of "roughing it" is, there is a campsite for you. There are also a number of special programs in the parks like tours and summertime children's programs including sleepaway and day camps.